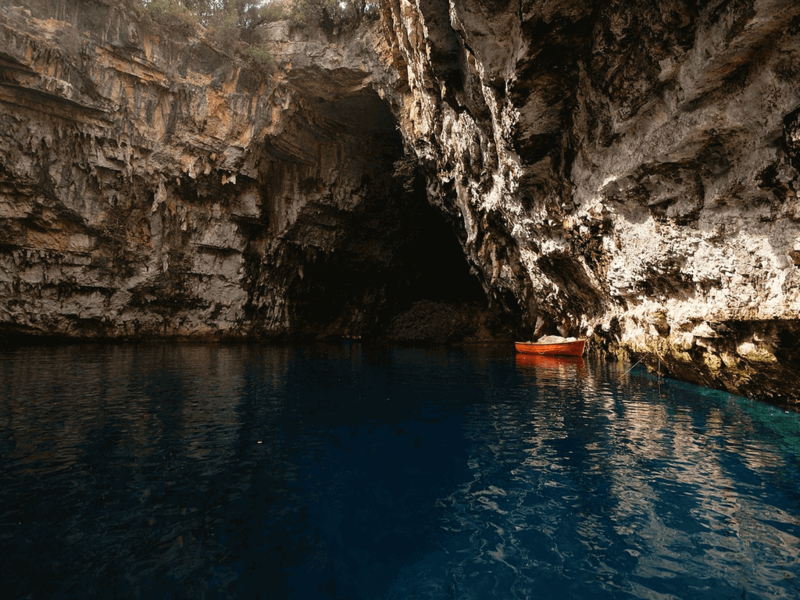 Melissani is a stand-out cave, as it can only be visited by rowboat. 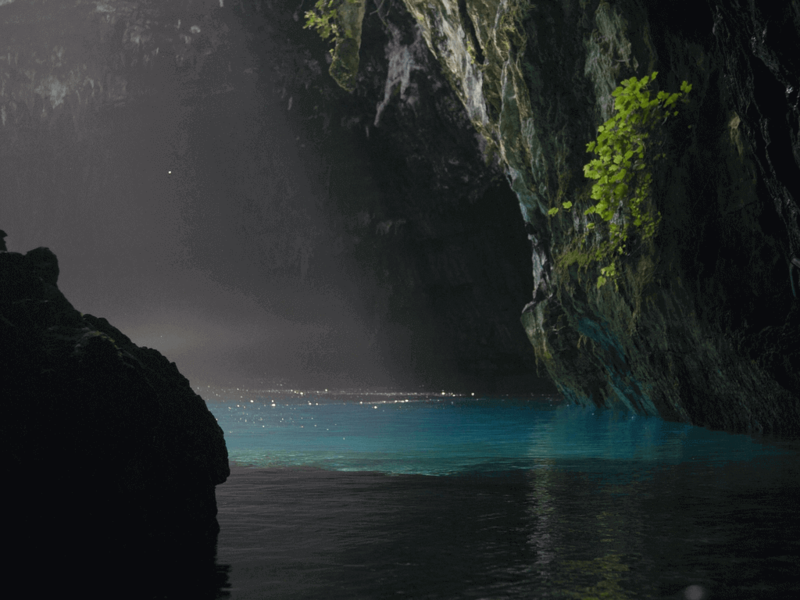 The cave domes a beautiful lagoon, and you’ll be able to visit two chambers of the cave by boat. Located close to Sami village, you’ll have to follow a narrow tunnel to get to the cave and then row in. The first chamber is the largest and is an open-air cave as the ceiling caved in over 5000 years ago. This partly-collapsed roof now allows the sun to shine in every day, giving the illusion that diamonds and sparkles rain and float on the surface of the turquoise lagoon. Of interest is the fact that the lagoon water originates across the island from Argostoli’s Katavothres, and is replenished every 14 days. The second chamber is closed and features an islet of archeological importance. This islet, called Islet of Pan, is where the Ancient Greek god was worshipped, and is also where the Statue of Pan and the Nymph Platter were found. In fact, the mythological origins of the cave are equally intriguing. The cave was named after the nymph Melissanthi, who was in love with Pan. He, however, did not return her feelings, and she killed herself in the cave.